I'm playing a set next Tuesday in Falls Church, VA at Clare and Don's with my favorite pickin' crew Two Ton Twig! Hey y'all I'm hosting the best open mic in middle Tennessee again, Kimbro's Legendary Deconstructed Songwriter's Night! Come on down and show off your masterpieces or test out some new ones! This will be my first full band show in the Nashville area and I couldn't be more excited to have Jonathan Abel, Jake Anderson, Jordan Gonzalez, Christopher Close, Andrea McNeil Davis, Ian Greening, and some special appearances joining me on the stage for this epic event! 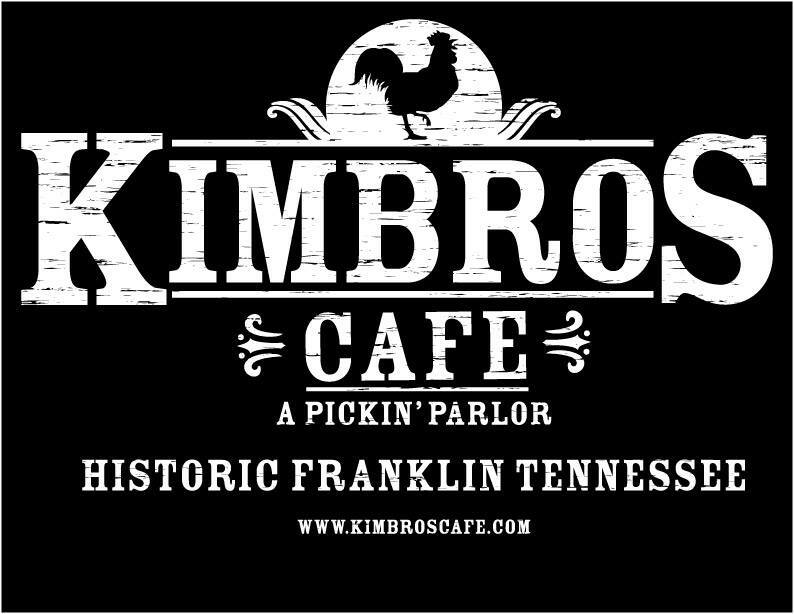 So come on out to The Legendary Kimbro's Pickin' Parlor the coolest, most talked about joint this side of Nashville and show some love for independent artists! The level of talent lined up for this night is mind blowing! I'm playing with Oxford Fall for Whiskey Wagon this Monday y'all!!! Playing a short set this Sunday afternoon at Jackalope Brewing Company. With Jake Anderson and more, come on down and see us, I'm up at 4:30! I'll be playing a long set with some friends in Franklin, TN this Saturday at 10:30am for Pumpkinfest and The Whisky Wagon Radio Show at the Landmark Booksellers stage! Come on out with the whole family for some great fall fun!! I'm playing a 30 minute set tonight for Americana Night at 360 Burger! Once again I'll be playin' a few with my good buddy Damien Boggs tonight, this time at Bobby's Idle Hour on Music Row in Nashville! Come out and say hello! I'll be playing an hour long set tomorrow at 1:00 in Historic Franklin at Carpe Diem's Christmas In July Carnival! Come hang out and check out their AMAZING vinyl selection!!! Hey y'all I'm hosting the best open mic in middle Tennessee, Kimbro's Legendary Deconstructed Songwriter's Night this Tuesday! Come on down and show off your masterpieces or test out some new ones! I'm doing a writers round with my good buddies Jake Anerson, Andrew Pflueger and Matt Price. Come on out and enjoy some great Nashville song writers!